What will $1,900 rent you in Philadelphia, right now? We've rounded up the latest rental listings via rental site Zumper to get a sense of what to expect when it comes to scoring housing in Philadelphia if you've got $1,900/month earmarked for your rent. Listed at $1,900/month, this 1,000-square-foot one-bedroom, one-bathroom condo is located at 1720 Sansom St., #1. In the unit, there are carpeting, air conditioning, in-unit laundry, high ceiling, stainless steel appliances and a dishwasher. The building boasts storage; Neither cats nor dogs are allowed. There isn't a leasing fee associated with this rental. Next, there's this one-bedroom, one-bathroom unit over at 719 E. Passyunk Ave., #23. It's also listed for $1,900/month for its 1,000 square feet of space. When it comes to building amenities, expect storage space. The unit boasts hardwood floors, in-unit laundry, a walk-in closet, a dishwasher, a kitchen island and a ceiling fan. Cats and dogs are not welcome. There's no leasing fee required for this rental. According to Walk Score's assessment, the surrounding area has excellent walkability, is quite bikeable and is a haven for transit riders. Then, check out this 750-square-foot one-bedroom, one-bathroom condo that's located at 1101 Locust St., #4d. It's listed for $1,900/month. Apartment amenities include high ceilings, in-unit laundry, air conditioning, stainless steel appliances, a dishwasher and hardwood flooring The building has assigned parking. Pets are not welcome. According to Walk Score, this location has excellent walkability, is very bikeable and boasts excellent transit options. Located at 59 N. Third St., #4B, here's an 875-square-foot one-bedroom, one-bathroom apartment that's listed for $1,895/month. 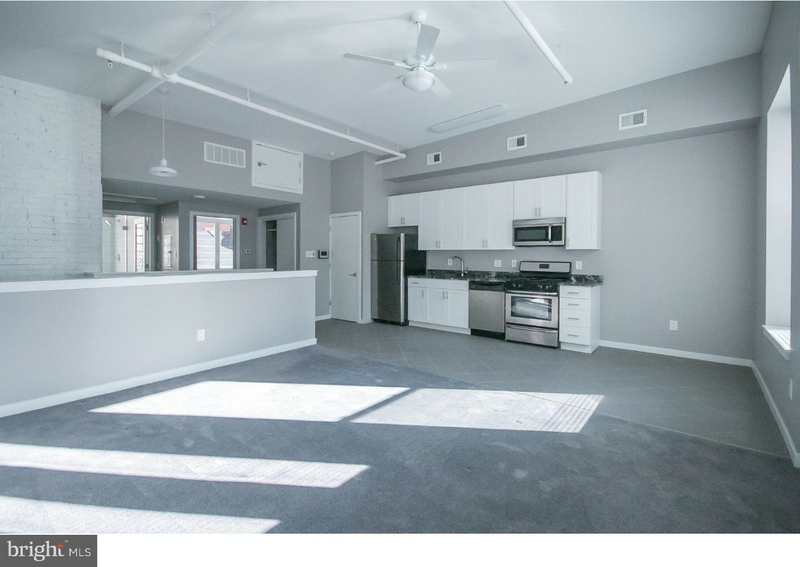 In the unit, you can anticipate a mix of hardwood floors and carpeting, stainless steel appliances, a dishwasher, granite countertops, a breakfast bar, in-unit laundry and exposed brick. The building features garage parking, a fitness center, an elevator and storage space. Pet lovers are in luck: cats and dogs are allowed. According to Walk Score, this location is extremely walkable, is convenient for biking and has excellent transit. Lastly, also listed at $1,895/month, this 893-square-foot one-bedroom, one-and-a-half-bathroom apartment is located at 926 N. Third St., #3D. The condo features hardwood flooring, both central heating and air conditioning, a ceiling fan, high ceiling, stainless steel appliances, a dishwasher, granite countertops, a breakfast bar and in-unit laundry. When it comes to building amenities, anticipate garage parking, outdoor space, a roof deck, an elevator and storage space. Good news for animal lovers: both dogs and cats are welcome here. Walk Score indicates that the surrounding area has excellent walkability, is very bikeable and is a haven for transit riders.